The exterior of the Ascension Club is a monolith in the truest sense, providing weight and presence in the community for countless children and families. Built in 1921, this building was for many years the heart and soul of the Old Highland neighborhood, serving as a “home away from home” for several generations of local kids. 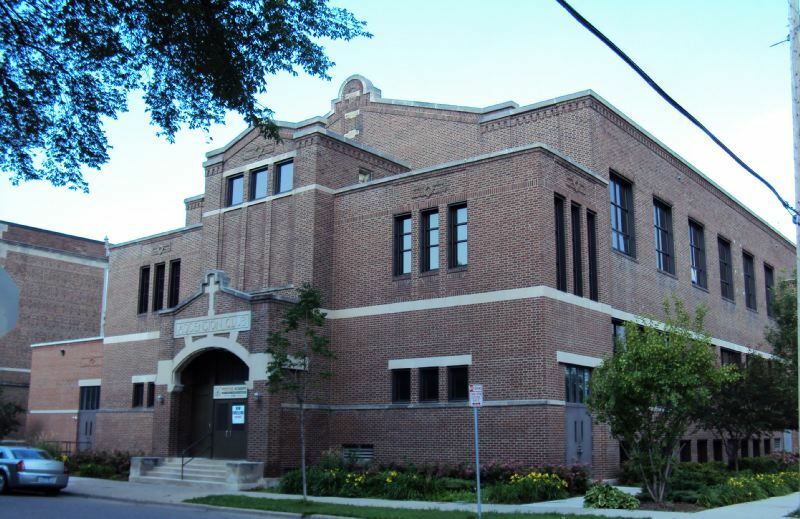 The three-story brick structure was designed as a parish center for athletics and other activities by Bertrand and Chamberlain architects, who later built the Chamber of Commerce office building in Minneapolis (1928). 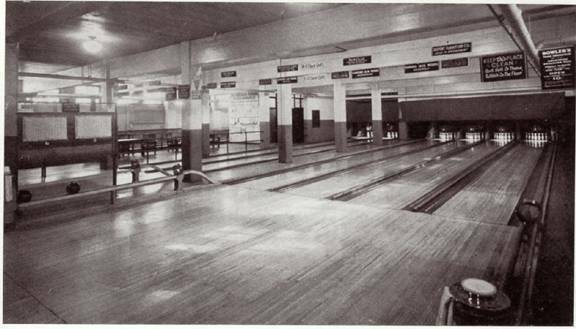 The Ascension Club functioned not unlike a modern-day community center or YMCA, with a swimming pool, bowling alley, even dramatic and art departments where Old Highland resident and local hero Dorothy Lundstrum taught dance. 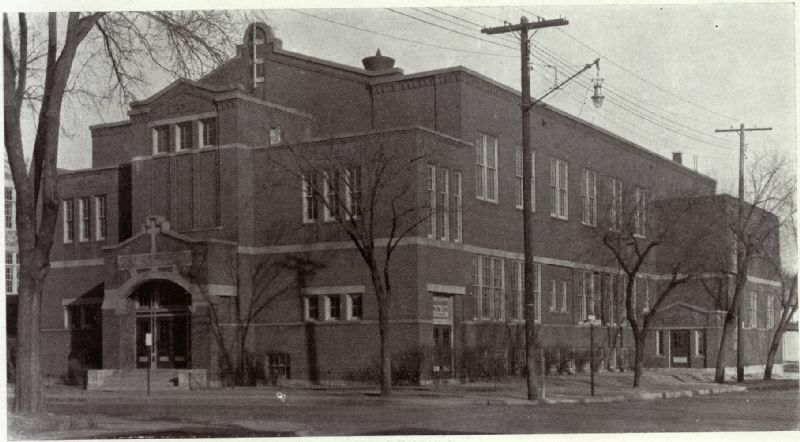 The Ascension Club also housed meeting rooms for adult and youth groups, billiards, table tennis, a reading room, and a gymnasium where basketball became a popular sport. The gym was easily converted to an auditorium with theatre seats and a stage, complete with stage floor traps. The creation of the ambitious Ascension complex did accumulate some debt for the Church under Father Jeremiah Harrington’s leadership, and there was worry that the Club might not survive. A later priest, Father John Dunphy, was instrumental in saving the Club by selling shares in it and turning it into a community recreation center. Father Dunphy served Ascension from 1925 through 1955, and was a steady hand during a period of tremendous growth for the church, helping to dramatically reduce the debt. Notably, the Club was also ecumenically diverse: Several leaders of other faiths, including rabbis, served on its board. Ascension Club became a mecca for many athletic teams. “Gus” Gustafson, renowned Ascension swim coach from 1940 to 1980, helped his teams fill the trophy case with individual and team medals. The Golden Gloves used the Club to train youth in boxing, and Golden Gloves matches were hosted there. Even the Minneapolis (now Los Angeles) Lakers practiced at Ascension Club, and the Harlem Globetrotters performed there. As the parish shrank in number in the 1960s and 1970s, the Ascension Club building was eventually sold and converted to other uses. 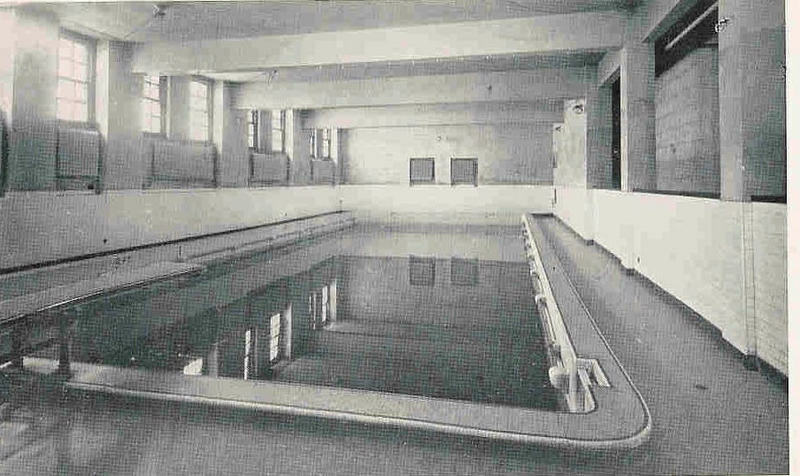 Long-time neighborhood residents and parish members still remember their strong emotions when the building's pool was filled in. Today, the Ascension Club building is home to a Minneapolis charter high school called "Metro Tech Career Academy," which provides students with career-focused education. The Club's Modified Mission style is reflected in the one-story arched entry with Mission-shaped parapet. The prominent façade is two stories high with a pronounced central bay rising to a third story. The true third story is set back with a Mission-shaped roof parapet. Note how the coping (the top course of the brick wall) highlights the parapets. The decorative detailing is kept to a minimum, with only stone lintels above the first-floor windows, and a rectangle with diamond pattern can be seen above the second- and third-floor windows. A beltcourse (a continuous row of stones) marks the division between the first and second floors. Look for the words “Ascension Club” with a cross rising from the stone above the entry door. The original windows have been replaced. There has also been a one-story, rectangular brick addition to the north side of the west (main) façade. With the closely-matching brick, flat roof line, stone coursework, and rectangle-with-diamond pattern as decoration, it’s a modern addition that is compatible with the building’s original look. The addition has one set of entry doors, with transom lights above. Old Highland Neighborhood Association, “1704 Dupont Avenue North: Ascension Club,” Minneapolis Historical, accessed April 22, 2019, http://minneapolishistorical.org/items/show/10.